Part of my job is to place bodies of deceased patients in the morgue. One night a few years ago, I was on assignment outside at 4:45am in the morning. When I just happened to see a large, black, triangle-shaped shadow come out of the sky and into the corner of the fourth floor wing of the hospital where our ICU unit for the critically ill is located. There were no planes overhead or any reasons for a shadow to appear at this time of night. This shadow appeared to have gone directly into the fourth floor wing. 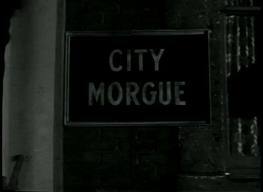 About half an hour later, I was sent to the morgue to place a deceased patient there. Since the incident that occurred outside was so odd in nature, I checked the time of death of this patient and it was 4:45 a.m. – that is the exact same time as I saw the shadow swoop down and disappear into the hospital. Isn’t that strange?